I’m a passionate person. If I get involved in something, I know I’ll give it everything I’ve got. My greatest role in life is as a role model and inspiration to everyone around me, especially my children. Sports has always been so foundational in my life. I truly believe that my experiences on the field and court were greater than any lesson I learned in a classroom. I strongly feel that anyone who plays a sport, changes as a person, and that’s exactly how sports has impacted me. Growing up I was open to playing anything and everything, but now my heart and soul is with softball. Three years ago, one of my best friends, Maryam Dadabhoy and I sat on the bleachers watching our husbands play in a softball league. 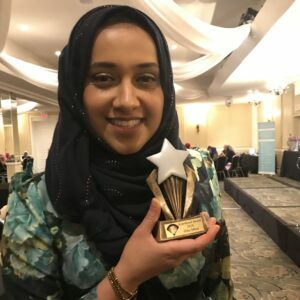 Knowing our limitations as Muslim women, we were jealous of the opportunities they had. 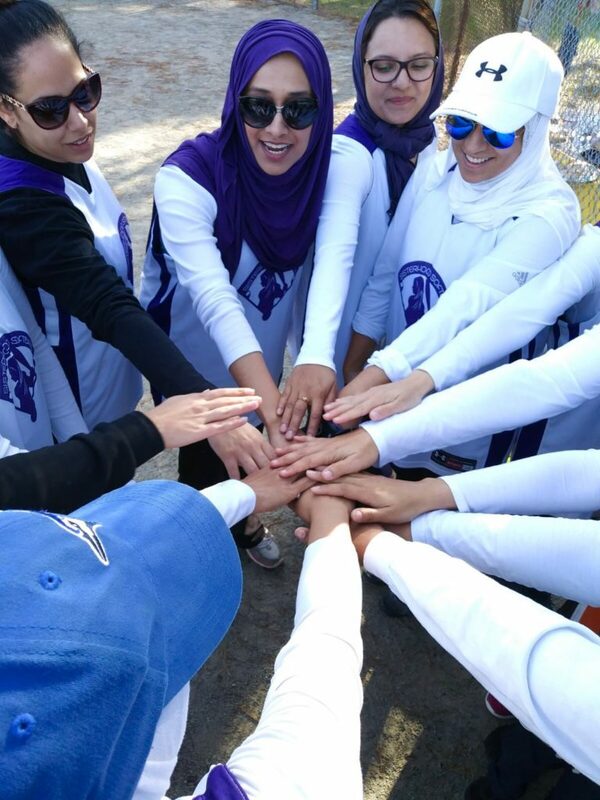 I would always ask why we weren’t out there playing as well, until one day, her husband said… “If you want to play, why don’t you start your own league?” and it hit me in that moment, that the only one stopping us was ourselves. 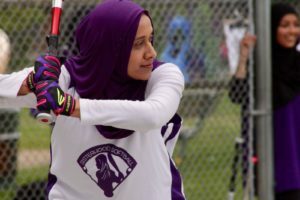 With Maryam’s incredible support, we were able to start Sisterhood Softball, a faith-based league dedicated to provide an accommodated environment to women just like us. What started off as pick-up games among friends on Sunday mornings, turned into a league of four teams in just three years! Today I play many roles, I’m a mother, registered psychotherapist, public speaker, workshop facilitator and one of the founders of Sisterhood Softball, and I know that playing sports has elevated my abilities to fulfill all of these roles beyond their potential. supported in my sporting endeavors and it still upsets me when I think of all the opportunities that I didn’t have because our culture doesn’t encourage women in sports. 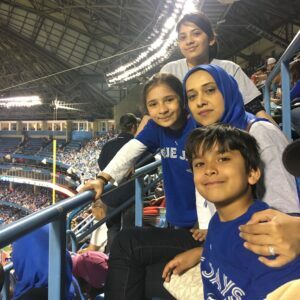 I couldn’t turn things around for myself back then, but today I am a big advocate for Muslim women in sports. I encourage my daughters to play what they love, and I help them break down the cultural barriers they are facing. What skills did you develop in sport to helped you overcome your barrier? The greatest skill I developed through sport was self-confidence. If you want something, you have to learn to go after it. As a child, I wasn’t able to open doors for myself. But today I have an “doors open” policy for the women in our softball league. Regardless of skill or ability, I want to encourage all women to step out on the field and feel the adrenaline rush of hitting a ball and running to base. 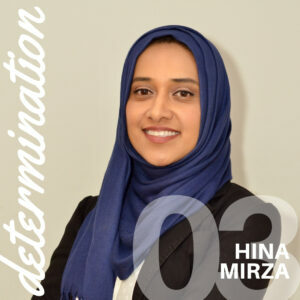 I want them to feel a sense of belonging as a part of a team, and I really hope that I can translate my passion to the lives of others, hoping to positively impact every woman who meets me. Determination to learn, to be better, to be there for others and to strive for excellence in everything I do.